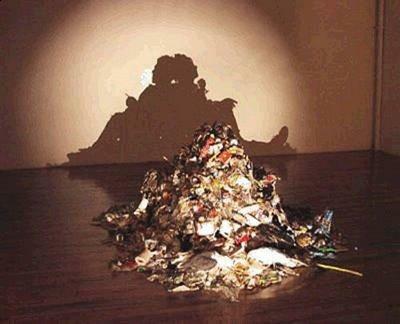 This piece of art by Tim Noble and Sue Webster is little more than a pile of garbage but amazingly the shadow cast on the back wall from the trash shows the image of a couple relaxing with a cigarette and glass of wine. 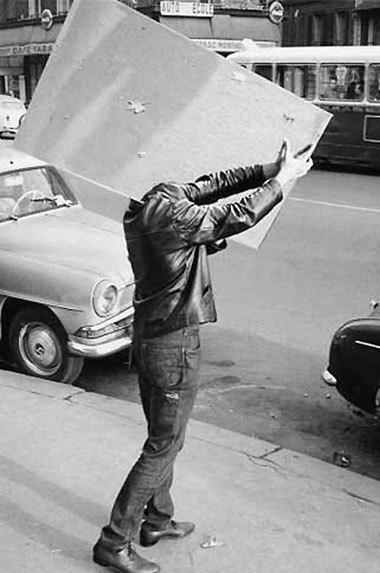 Here's a simple illusion achieved with the use of a mirror, this man is carrying the mirror on his shoulder with the reflective side outward thus achieving the illusion that he has no head. This black and white grid appears to bulge outwards in a circular form despite the fact that it is made up entirely of squares. 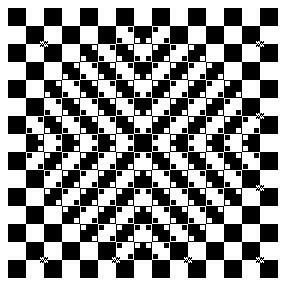 The black square in the center represents the point that appears to be closest to your eyes. Have a look at this chart and go through the words one by one saying out loud the color of each word, but not the actual word itself. This is a lot harder than it appears because the words don't match the colors they are written in. 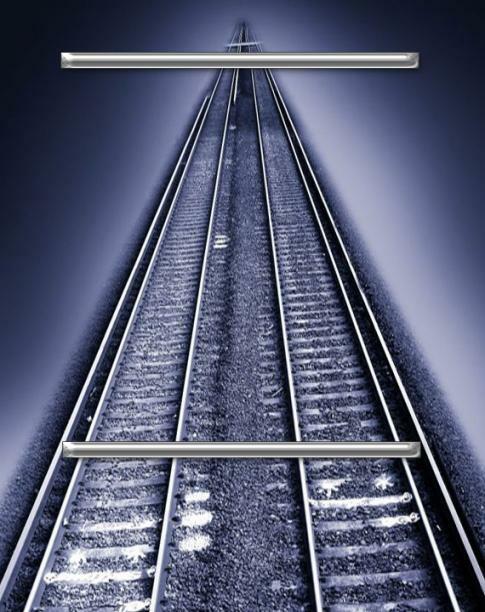 On this picture of some train tracks there are two horizontal bars. Which one is longer ? While the topmost one appears to be longer than the one at the bottom the truth is they are both the same length. This is because the image of the tracks disappearing in to the distance leads your brain in to believing the object that is further away is larger than the one close by.